General Knight is a direct line ancestor of mine on my mother’s side.. Most of my ancestors are south Georgia settlers, first arriving there in the late 1700’s. They had land in the Ray City, Nashville, Adel triangle. A descendant of Lace E. Lastinger has allowed me to borrow and transcribe the Minutes book of Dixie Camp UCV. I am finished, and now must compile an index. Hope to publish later this year. 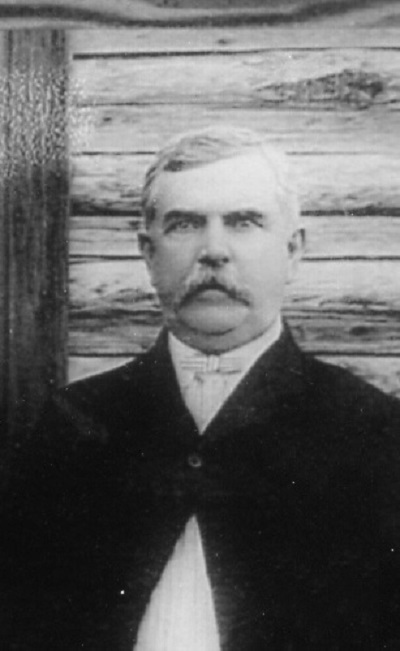 Judge Lastinger was devoted to his old Comrades. And, the old boys did love to eat and meet with the ladies in the community! Any info on where Elbert Chapman was buried? Thank you! 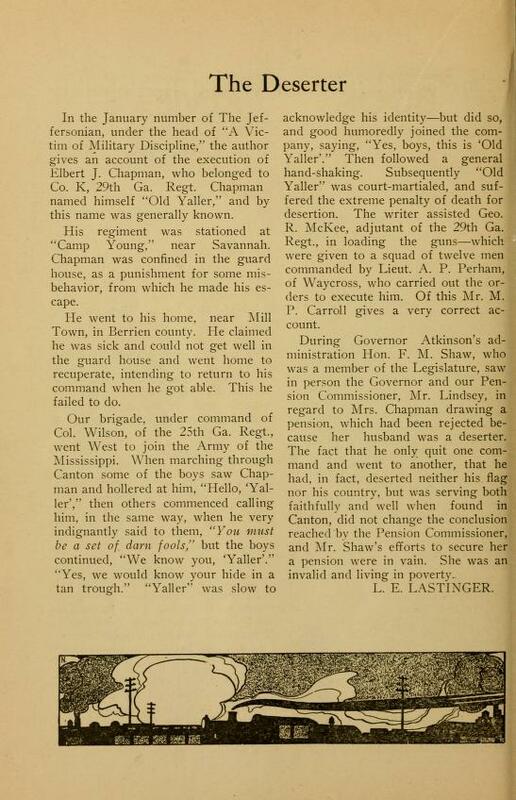 Elbert J. Chapman was buried on the spot where he was shot, near Morton, MS. See Elbert J. Chapman Was A Victim of Military Discipline. I have not been able to find any other indicators of the location of his grave.